From its plush interior, to its exhilarating performance, and world-class safety features, the Jaguar XE is sure to impress with its unique combination of sophistication, comfort, and power. Sophisticated and sporty with its sleek design, high-powered performance, and impressive safety system. Top-tier auto service is what you can count on from Jaguar Gulf Coast. These sophisticated vehicles demand the attention of a team that knows them inside and out, so don’t settle for anything less than the experts in our state of the art service center. When they’re handling repairs, they use Jaguar certified OEM parts to bring every model they see back to top-notch condition, and they’re there for you whether require a complex repair job or a simple oil change or filter replacement. Feel free to get in touch with our service team today or fill out our quick and easy appointment form. 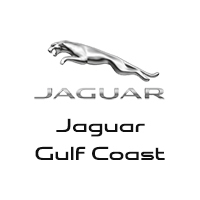 Drivers from Panama City Beach, Pensacola, Daphne, Biloxi, and Hattiesburg understand that they’ll receive first-class service and support from Jaguar Gulf Coast, no matter their automotive need. Our extensive range of deeply alluring Jaguar models helps create an inspirational experience from the moment you step inside our showroom, and from there we can help you find the right model, arrange servicing, and provide genuine OEM parts from our exhaustive inventory. We feel privileged to be able to work in the presence of the enthralling lineup of Jaguar, and nothing quite beats introducing new drivers to new models. When you sink into a model like the Jaguar F-TYPE, Jaguar F-PACE, Jaguar XE, or Jaguar XJ and then hit the gas, you’ll understand why Jaguar vehicles are considered a cut above. You’ll find all these models in our showroom, plus a wide selection of certified pre-owned offers that have been thoroughly inspected. We believe that buying a Jaguar should be a luxury experience from start to finish, and that process includes financing. Our finance team will contact lenders and work diligently to put together the right loan or lease package to meet your needs. All you need to do is tell us what those needs are, and we’ll take care of the rest. Start your journey from the comfort of your own living room by using the online finance application, or contact one of our finance wizards directly for detailed advice and guidance. Jaguar Gulf Coast sets the highest of standards, whether you’re looking for a part or are interested in a brand-new model. If you’d like to find out more about how we can be of assistance, please don’t hesitate to get in contact today.